Jimmie R. Robinson obituary. Carnes Funeral Home. Jun 17, 2012 The Carnes Funeral Home Staff offers our sincerest condolences to the entire Robinson family. It was our honor to serve your family. Jun 5, 2012 DEAR CAROL & FAMILY-I JUST HEARD THAT JIMMIE PASSED. I'M SO SORRY FOR YOUR LOSS. HE ALWAYS MADE US SMILE HERE AT CLEARLAKE HOSP. 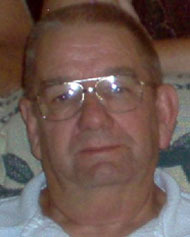 Jimmie R. (JR) Robinson, Sr. 74, of League City, TX passed away on Friday, May 18, 2012. Jim was born March 16, 1938, in Clay City, Illinois. He served in Texas in the military in the late 1950s and always wanted to move back, which he did in 1975. He spent several of his early years in Texas with the Seabrook Fire Department, both as a fireman and as Chief. He then went on to retire in 2009, at the age of 71, after 27 years with Clear Lake Regional Medical Center. Jim was then able to enjoy almost two years before succumbing to Alzheimer’s. Jim was a loving and caring man, a wonderful husband, father, and grandfather. He enjoyed life to the fullest and his warmth, energy, and fun-loving nature brought joy to all who knew him. Jim is survived by his wife of 51 years, Carroll, three children Jimmie, Jr. and wife Fran of Valrico, FL, Kevin and wife Deanna of Lafayette, LA, and Robyn Robinson and her boyfriend Robert Adams of League City, TX. He also had ten grandchildren: Brandy and husband Andy of Louisiana, Sarah and husband Robert, also of Louisiana, John and Megan of Florida, Sammy and wife Stephanie of New Mexico, and Brittany, Cody, Kayla, Jessica and Kevin from Texas, and two great grandchildren: Dylan of Louisiana and Kalynn of New Mexico. In lieu of flowers, donations to the Alzheimer’s Association will be welcomed.